← The 2015 International Latino Book Awards Winners! DESCRIPTION FROM THE PUBLISHER A literary fantasy about love, music and sorcery, set against the background of Mexico City. MY TWO CENTS: This is an intimate tale that, while telling us both the story of teenage Meche and how she has grown up – and not – in the intervening 20 years, has its foundations in a pure coming-of-age romance. Teens today should be able to relate to 15-year-old Meche, who is equal parts charismatic and surly. Growing up in Mexico City in the 1980s with an alcoholic father and an overbearing mother, she protects herself from the indignities of teenagehood in the earphones of her Walkman. (For those born after the 1980s, Walkmans are the precursors to our wonderful digital devices that can sync up with iTunes.) One day, she discovers that the power of her records can make magic–literal magic, just like her grandma, Mama Dolores says exists. She convinces her best pals, Sebastian, a literature-loving pseudo-punk, and Daniela, who dresses all in pink and still has a soft spot for her Barbie collection, to help her use magic to meddle in romantic matters and take revenge on those who wrong her and her friends. Classic rock beloved by her father and artists like Miguel Bose and Duncan Dhu spur on her magic, which becomes dangerous as she gets deeper and deeper. Until the bonds between her and those closest to her are stretched to the utmost limit. We hop back and forth in time from the ‘80s to 2009, when Meche, a successful professional living abroad, returns to Mexico City for her father’s funeral. We find out that they’ve been estranged, which is a surprise, since we know how much Meche’s father (through passages in his book in his point of view) adored her. Much as she did as a teen, adult Meche feels out of place in her old neighborhood. Will she find a place for her in her old neighborhood or is the magic gone forever? Sebastian may have something to say about that. TEACHING TIPS: Much like the books that have won Alex Awards, Signal to Noise has appeal for both teens and adults. The universal themes of alienation and parental discord are emotions that anyone of any age can relate to. Modern teens may find themselves fascinated by the description of life in Mexico City nearly 30 years ago and discover it’s not so different from their lives today. Teens in local book clubs could compare and contrast how they think teens in the ‘80s would have communicated with their friends (with no fancy technology, horror!) or completed homework assignments (studying honest-to-God paper books at the library, anyone?). A fun craft that librarians could work into a book club discussion is decorating T-shirts with neon puffy paint or stylishly shredding an old pair of jeans. I know of several people who still have records (and one public library as well), so perhaps an old-fashioned listening party is in order? AUTHOR (DESCRIPTION FROM HER WEBSITE): Mexican by birth, Canadian by inclination. 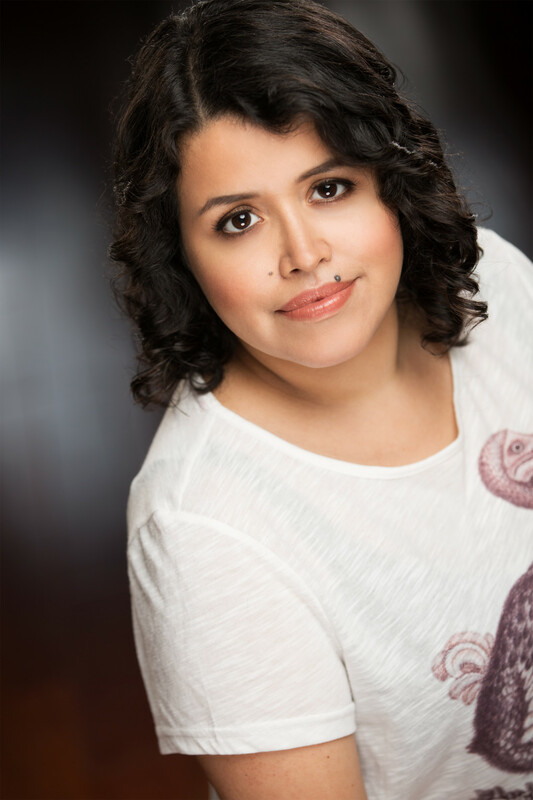 Silvia Moreno-Garcia‘s debut novel, Signal to Noise, about music, magic and Mexico City, was released in 2015 by Solaris. Silvia’s first collection, This Strange Way of Dying, was released in 2013 and was a finalist for The Sunburst Award for Excellence in Canadian Literature of the Fantastic. Her stories have also been collected in Love & Other Poisons. She has co-edited the anthologies Sword & Mythos, Historical Lovecraft, Future Lovecraft, Candle in the Attic Window and Fungi. Dead North and Fractured are her solo anthologies. Silvia is the publisher of Innsmouth Free Press, a Canadian micro-publishing venture specializing in horror and dark speculative fiction. 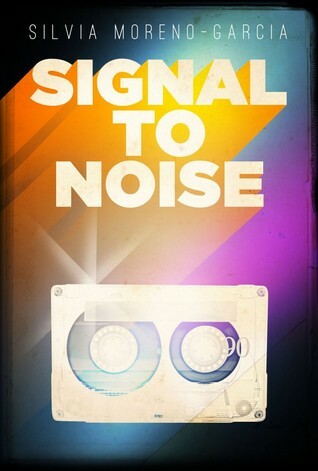 FOR MORE INFORMATION ABOUT Signal to Noise visit your local public library, your local bookstore or IndieBound. Also, check out Goodreads, Amazon, and Barnes & Noble.